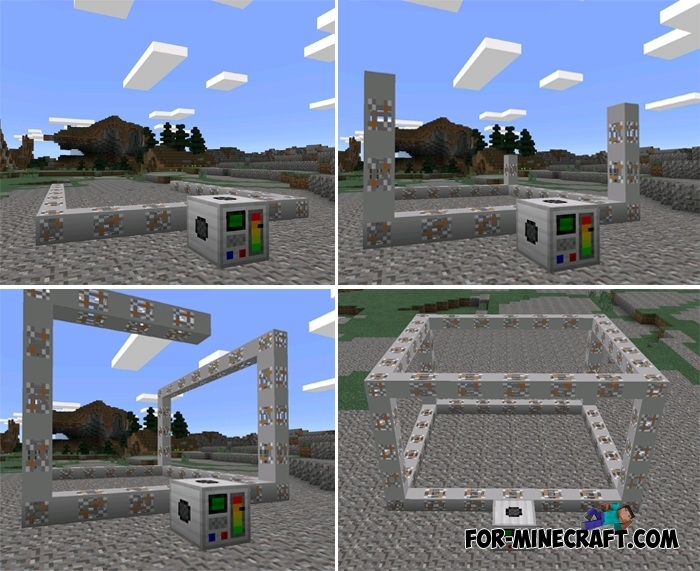 ExtendedCraft - a global mod, which is ready to automate the extraction of mineral ores / blocks / objects. You will be able to construct buildings with solar energy, which will give you the possibility for the mechanisms. In the future you will be able to make geothermal machine for more efficient energy production. Now, mod has been updated to the new version, which will add a lot of improvements as well as GUI interface. Mod is in beta stage, there may be bugs and crashes. 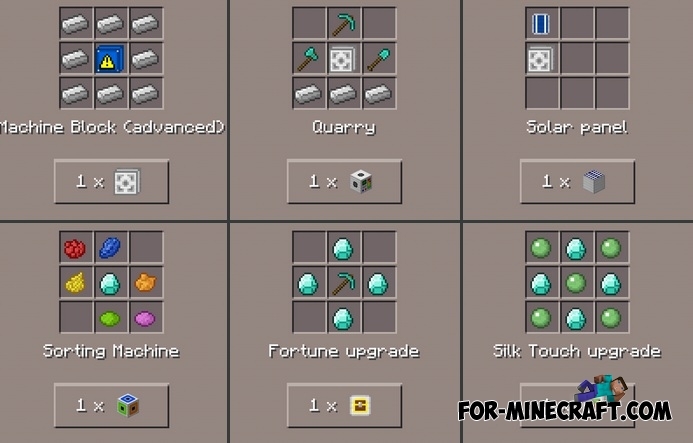 To build a quarry structure (id: 192) you need to get quarry block, which currently can be found in TooManyItems. You will need a chest for storage. The quarry will dig, and then terminate. Obtained blocks will be put into the chest. Using a wrench, you can turn the quarry (id: 2000). Even more possibilities will be very soon! Install «361.EC3 TexturePack.zip» texture pack. Quarry mod for Minecraft Pocket Edition 0.10.5Quarry Mine is outdoors, where you can extract minerals that are in deep dungeons. This mod adds functionality, allowing you to create and manage careers. 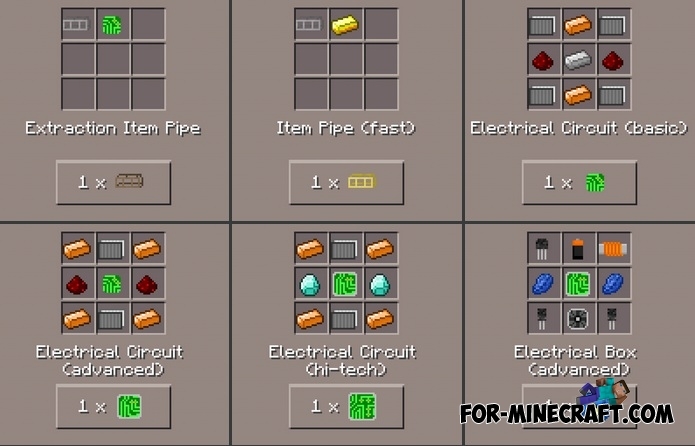 ExtendedCraft v1.0 - Auto Farmer! [MCPE 0.9.5]ExtendedCraft 2 - a mod that greatly simplify your life in MCPE. With it you will be easier to produce, process the ore and more!